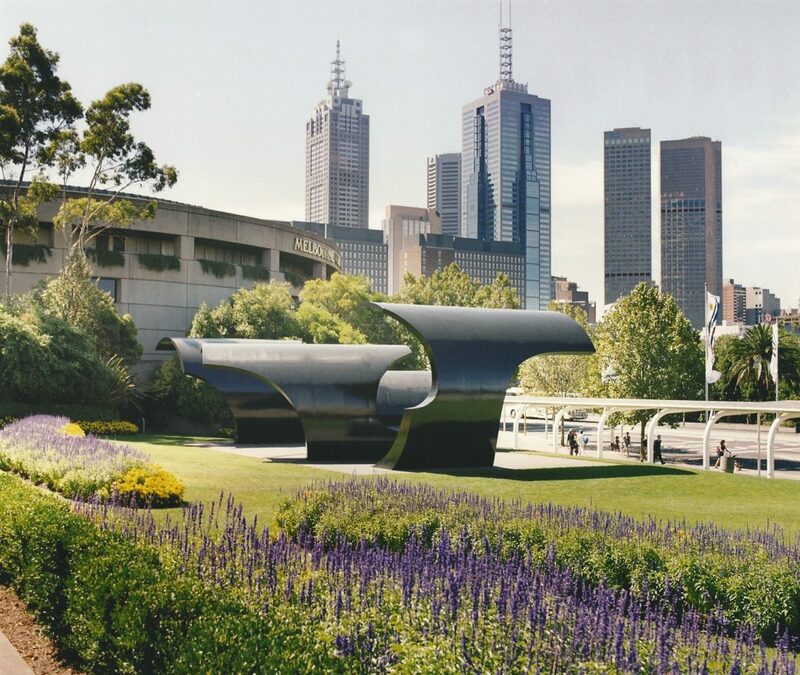 The Heritage Council of Victoria has announced the inclusion of Inge King’s Forward Surge at the Melbourne Arts Centre—one of Melbourne’s most beloved public artworks— to the state Heritage Register, following a nomination by the National Trust of Australia (Victoria). Forward Surge, located on the Arts Centre Lawn, is one of the best known works of the late Inge King, who was one of Victoria’s most celebrated and critically respected sculptors. The work was selected for the site by architect Roy Grounds to link Hamer Hall and the Arts Centre Theatres Building with its iconic spire. The 5m-high steel waves are a well-known feature of St Kilda Road, which was recently inscribed on the National Heritage List. The artwork was nominated to the Register by the National Trust of Australia (Victoria) in 2016, the year of King’s death at age 100. The National Trust welcomes this decision, which recognises the great legacy of Inge King, and the important place that public art occupies in our city. Forward Surge which was manufactured by Public Art and sculpture specialist fabricators J.K Fasham, represents King at the height of her creative powers, as one of Victoria’s leading artists of the twentieth century. Heritage is not just about old buildings—it’s about our cultural landscape, and celebrating creative achievement in all its forms. As one of the highlights of Southbank’s arts precinct, we’re pleased to see Forward Surge included in the plans for the new NGV Contemporary development. The full National Trust classification of Forward Surge can be read here. Above image by Mark Strizic, c. 1981, courtesy Inge King. Media enquiries: email or phone 9656 9861.